After 5 years on iOS and a lifetime of Apple fanboyism, I’m making the switch to Android. Everyone I've told has asked me why (especially those who have converted to Apple products as a result of my essentially forcing them to...). My simple reason: I have never experienced Android as a user. 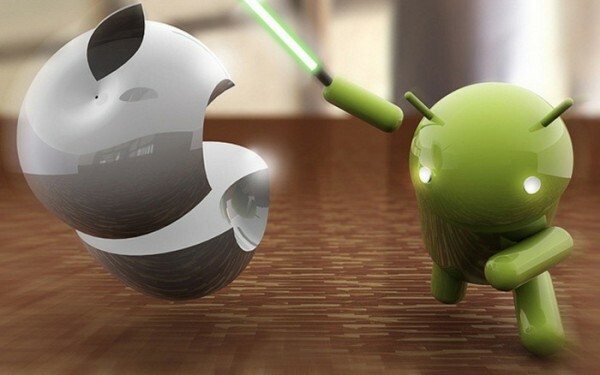 Every day I come across posts written about the growth of Android and the continued market share increase. I've thought through the implications of cheap, high quality devices that are bringing people online for the first time ever. I've read how Android is the operating system for everything from tablets to robots, with the latest version of the OS is designed to support even more non-smartphone devices. I've seen Samsung plaster Indonesian highways with billboards for the latest Android devices the same way Apple colors 101 in the Bay Area. I’ve discussed why, for all the market share, developers don't make as much on Android, users don't shop as much and it remains a fragmented ecosystem which is hard to develop for. But, with all the reading and all the discussions, seeing all the marketing and thinking through the implications, I have never felt any of these first hand, only truly knowing one side of the story. I believe we are still stretching our legs when it comes to mobile and it's full potential, so why not try a different pair of shoes on for size? As far as devices go, I ended up picking the Nexus 5. While it has been argued that Nexus isn’t real Android, it came preinstalled with KitKat and is supposed to be among the best devices so I went with it. In advance of setting up my phone I made sure to turn off iMessage on my Apple devices. This apparently leads to missed texts so I would encourage anyone making the switch to turn off iMessage a few days in advance of the change just to be safe. The setup process is pretty simple (I did have to get a micro sim from AT&T since the iPhone 5 uses a nano) and we were off. Phone size: The screen is great but the device isn't as ergonomic as an iPhone. Harder to wield with one hand than I would have expected. Day one and a half of Android is in the books. I'll post periodically with thoughts, and hopefully can last into at least the New Year without caving and going back to iOS. If anyone has suggestions for Android only apps or tips / tricks on Android please let me know!